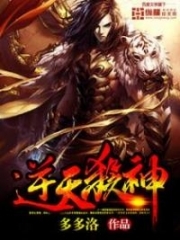 You’re reading novel Chaotic Sword God Chapter 1322: Yang Lie (Two) online at LightNovelFree.com. Please use the follow button to get notification about the latest chapter next time when you visit LightNovelFree.com. Use F11 button to read novel in full-screen(PC only). Drop by anytime you want to read free – fast – latest novel. It’s great if you could leave a comment, share your opinion about the new chapters, new novel with others on the internet. We’ll do our best to bring you the finest, latest novel everyday. Enjoy! At this moment, the Emperor Armament suddenly resonated at a clear pitch. The sound lasted for an extremely long time, and it filled the surroundings. However, the facial expressions of the great elders of the Changyang clan hardened when they heard the noise because the Emperor Armament had never produced a sound like that before. It was clearly extremely unusual. But before they could think about anything more, a powerful force suddenly erupted from the Emperor Armament like a tsunami. It shattered the s.p.a.ce in the surrounding several dozen meters, reducing it to darkness. Changyang Zu Xiao, Changyang Zu Yunxiao, Changyang Zu Yeyun, and even the five Saint Kings from the other two branches vomited blood at the same time. They became extremely heavily injured from the force that had suddenly erupted and were all sent flying back. Every single one of them became haggard as shock filled their eyes. They stared at the Emperor Armament in disbelief. They had suffered from the backlash of the Emperor Armament, but it was much more severe than any time in the past. After stabilizing themselves, all of them used the secret technique as quickly as possible to control the Emperor Armament. This was where victory lay. But their faces all displayed their surprise because none of them could regain control over the Emperor Armament through the secret techniques. The weapon had completely broken free from their control. All eight Saint Kings revealed ugly expressions. It was an extremely terrifying matter for the Emperor Armament to have broken free. The huge Emperor Armament hung in the sky and constantly trembled. It erupted with pulses of terrifying energy as it continued to resonate. The resonating pitch was clear and ear-piercing, like the cry of the Emperor Armament. Suddenly, the Emperor Armament shot off as a streak of light. It was lightning-fast and vanished beyond the horizon in the blink of an eye. Wherever it pa.s.sed, the s.p.a.ce cracked into fragments while its terrifying pressure caused the entire earth to shake. “Oh no, the Emperor Armament’s flown away. We can’t afford to lose it. It’s our ancestral weapon. Chase it!” Changyang Qing Yun was surprised. He no longer paid any attention to the wounds on his body and immediately chased after it as quickly as he could. The other Saint Kings from the Qing and Yuan branches did not hesitate either. They tailed behind Changyang Qing Yun. They fused with the surrounding s.p.a.ce. Using Spatial Force to travel, they moved at a lightning-fast speed. The Emperor Armament would affect the stability of the s.p.a.ce it pa.s.sed through, making it impossible for them to create s.p.a.ce Gates. At the same time, they had no idea where the Emperor Armament was flying off to, so s.p.a.ce Gates were unsuitable as well. They could only fly. “Yeyun, you stay here. Yunxiao, let’s go check it out,” Changyang Zu Xiao looked back and gave an order to the couple before hurrying off with Changyang Zu Yunxiao. The Emperor Armament crossed many mountains and rivers, traversing several hundred thousand kilometers at an unbelievable speed. In the end, it entered a desolate mountain range. The Saint Kings behind it were nowhere to be seen even with their speed. The rainbow clouds in the sky still loomed over the mountain range. Changyang Zu Yunkong sat in the middle of the air as he stabilized his own level of cultivation while Huang Tianba stood on a mountain peak several kilometers away to watch over him. At this moment, a terrifying ripple of energy appeared far away, causing the s.p.a.ce to constantly shake. The s.p.a.ce in the distance had even shattered, turning into darkness. Huang Tianba’s face changed as he gazed at that area in interest. His face became extremely stern. The energy ripples were extremely terrifying and powerful. They made him s.h.i.+ver. A streak of light shot into the mountain range, heading for Changyang Zu Yunkong. It moved far too quickly. It was on the horizon the moment before, yet it had arrived before Changyang Zu Yunkong by the next. Huang Tianba failed to react to it at all. It was a sword that was twenty to thirty meters long. Its design was simple, but it gave off a terrifying presence as tremendous energy surged from it, causing the surrounding s.p.a.ce to ripple. Huang Tianba sighed a breath of relief. He could already tell that the sword that had randomly flown over would not harm Changyang Zu Yunkong. Instead, it just hovered above his head, resonating at a lengthy pitch. Huang Tianba was afraid that the sword would affect Changyang Zu Yunkong’s cultivation, so he immediately flew over. However, he was stopped by a mysterious force that was formed by the sword as soon as he reached a kilometer away from Changyang Zu Yunkong. He was unable to move beyond that point with his strength as a Ninth Heavenly Layer Saint Ruler. Suddenly, a terrifying glow erupted from the sword. The light surged into the sky and illuminated the entire place, causing the world to light up. The glow enveloped Changyang Zu Yunkong, but it did not harm him at all. Soon afterward, a wondrous ripple emerged from the sword and entered Changyang Zu Yunkong’s forehead. It seemed to be awakening memories that had been sealed long ago. Huang Tianba stood afar as he watched this unfold in wonder. He had no idea what was happening, but he knew very well that he could do nothing, whether the actions of the sword were beneficial or detrimental to Changyang Zu Yunkong. Several hours later, Changyang Qing Yun and Changyang Zu Xiao arrived. They became stunned at first glance by the weird scene. Changyang Qing Yun roared out and flew toward the Emperor Armament first. He used the secret technique at the same time in attempt to regain control over the Emperor Armament. In the end, he too was stopped a kilometer away by a powerful and mysterious force, just like Huang Tianba. He was unable to get through it no matter what, and even his secret technique to control the Emperor Armament became useless. “What’s happening? Just what is happening? Why is the Emperor Armament behaving like this?” Changyang Qing Yun questioned in a panic. The Emperor Armament had existed within the protector clan for countless years, but it had never exhibited behavior like this. It made Changyang Qing Yun feel uneasy inside. Changyang Zu Xiao silently hovered in the air far away. He only stared at the Emperor Armament and Changyang Zu Yunkong as his eyes shone with thought. None of them could find an explanation for the weird scene. Soon afterward, the other Saint Kings arrived as well. They all frowned. No one knew what had happened to the Emperor Armament. The Saint Kings from the Yuan and Qing branches revealed their doubts. They all found this to be too odd. No one could explain what was going on. “Let’s all wait here for now. Once Changyang Zu Yunkong rouses from his cultivation, we’ll ask him what’s going on,” Changyang Qing Jueri said with a heavy voice. Many people had a rather horrible feeling as to what was going to happen. A day later, the glow from the Emperor Armament dispersed, and it became simple and ordinary again. However, its presence still remained. Not only had it failed to weaken, it was even stronger than before. Changyang Zu Yunkong slowly opened his eyes. An almost-tangible spark seemed to shoot from his eyes at that moment. The particular charm he gave off shocked all of them even more. It seemed like the charm that only a ruler who lorded over the world could possess. Huang Tianba and the Saint Kings all stared at Changyang Zu Yunkong. At that moment, all of them felt the same thing. Changyang Zu Yunkong seemed to be vastly different from before. With a wave of his hand, the Emperor Armament above Changyang Zu Yunkong’s head immediately shrank to a 1.3 meter long sword that obediently landed in his hand. It seemed like a docile little lamb. The eyes of the Saint Kings almost popped out from how wide-eyed they had become. The Emperor Armament had always been described as powerful and violent in the protector clan. It had never behaved in such a docile fas.h.i.+on. This docile behavior made the people from the Yuan and Qing branches feel even more uneasy. The Saint Kings from the Yuan and Qing branches aggressively demanded answers. “How dare you, Changyang Zu Yunkong! Are you trying to revolt? You will not be making it past today since you plan to steal the Emperor Armament of our protector clan!” Changyang Qing Yun exclaimed and immediately attacked Changyang Zu Yunkong since he had sensed that the invisible barrier had vanished. Changyang Qing Yun was a Saint King at Great Perfection. Even after becoming heavily injured, he was still powerful. He first used his abilities to freeze the s.p.a.ce around Changyang Zu Yunkong before hurling a palm forward. Tremendous amounts of Saint Force surged into his hand, almost enough to shatter the surrounding s.p.a.ce. He clearly did not hold back. Changyang Zu Xiao and Changyang Zu Yunxiao revealed different expressions. Changyang Zu Yunkong had only reached Saint King, so it was impossible for him to be Changyang Qing Yun’s opponent. When they made a move to stop Changyang Qing Yun, they were stopped by the four other Saint Kings from the other two branches. Changyang Zu Xiao roared out and struck out with lightning-like speed. He knocked away his two opponents before immediately charging after Changyang Qing Yun. However, Changyang Qing Yun was already extremely close to Changyang Zu Yunkong. It was too late for Changyang Zu Xiao to help out. “Changyang Qing Yun, if you even dare to touch a single hair on Kong’er, I will never spare you,” Changyang Zu Xiao furiously roared out. Changyang Qing Yun’s lips curled into a sneer as he ignored what Changyang Zu Xiao had said. He pushed the energy gathered in his hand firmly and viciously toward Changyang Zu Yunkong. Changyang Zu Yunkong was as calm and steady as a mountain. He did not become fl.u.s.tered at all as mockery flashed through his eyes. Soon afterward, a terrifying energy, enough to make the surroundings tremble, erupted from the Emperor Armament. It immediately smashed through the frozen s.p.a.ce. He swung the flat side of the sword at Changyang Qing Yun. Changyang Qing Yun’s entire arm crumpled when it came in contact with the sword. It exploded with blood as his bones shattered before drooping down powerlessly. The Emperor Armament continued on without slowing down at all and struck Changyang Qing Yun in the chest. Spurt! Blood sprayed from Changyang Qing Yun’s mouth as the great force hidden inside the attack shattered his organs. He shot off like a loose arrow. He could not resist the power at all. Everyone became stunned by this and Changyang Zu Xiao came to a halt. Even Changyang Zu Yunxiao and the other two Saint Kings stopped fighting as they looked at Changyang Zu Yunkong in utter shock. “How is this possible? Just how is this possible? He can actually control the Emperor Armament by himself and not suffer a backlash,” Changyang Yuan Zhenghua said in shock as his heart churned. “Changyang Zu Yunkong, you actually dare to injure great elder Qing Yun. You are disrespecting his authority. Are you trying to rebel?” Changyang Qing Jueri sternly asked despite feeling the exact opposite inside. He was very fearful of Changyang Zu Yunkong now. You're reading novel Chaotic Sword God Chapter 1322: Yang Lie (Two) online at LightNovelFree.com. You can use the follow function to bookmark your favorite novel ( Only for registered users ). If you find any errors ( broken links, can't load photos, etc.. ), Please let us know so we can fix it as soon as possible. And when you start a conversation or debate about a certain topic with other people, please do not offend them just because you don't like their opinions. You're reading Chaotic Sword God Chapter 1322: Yang Lie (Two). This novel has been translated by Updating. Author: Xin Xing Xiao Yao already has 4429 views. Current Time is Apr-18-2019 19:01:38 PM.